We own two modern wineries that are located in two of the most interesting and promising P.D.O. areas of Greece, Nemea in Peloponnese and Santorini. 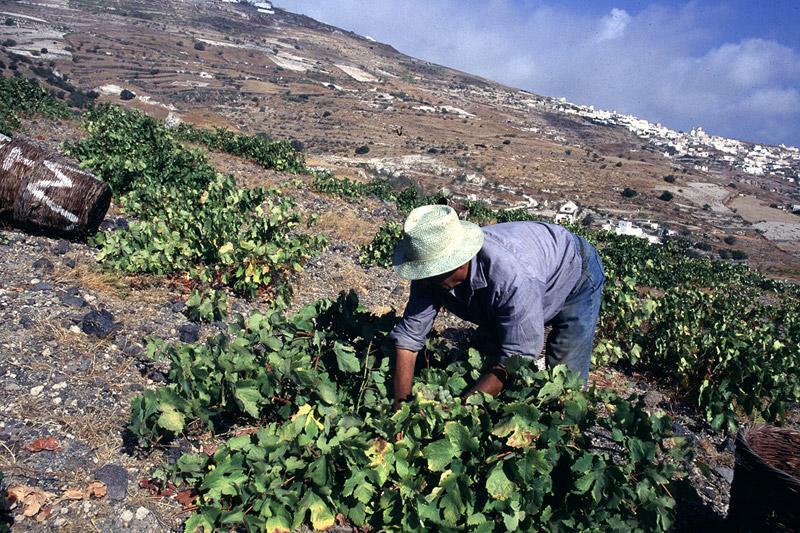 Gaia's main aim is to present the potential of the indigenous Greek grape varieties in the wine enthusiasts worldwide. Wine Enthusiast 90Lemon pulp and orange rind aromas start this robust but elegant Assyrtiko from Gai’a. It offers zippy minerality and fresh fruit flavors in a clean and balanced package, with the characteristic smoke and saline edge from its Santorini terroir. Notios, which means "the Southerner," comes to us from the southern portion of the Greek mainland in the Peloponnese. This is a blend of Moschofilero and Roditis, creating a wine with a bright citrus body and a lean, long finish. Great with seafood. Notios, which means "the Southerner," comes to us from the southern portion of the Greek mainland in the Peloponnese. This is a blend of Moschofilero and Rodititis, creating a wine with a bright citrus body and a lean, long finish. Perfect with seafood. "A red dry wine made from the Agiorgitiko grape. The vines are planted on a ten-degree slope facing West-Southwest. After harvest, selected grapes are crushed and inoculated with strains of dry active yeast. The skins and juice are left in contact with each other for approximately six days at 28C.